John and Elizabeth’s first time meeting could be called a Christmas miracle. It was Christmas day, Elizabeth and her then 8-year-old son, Jack, were flying to visit family. John says he noticed Elizabeth before ever boarding the plane, “I remember thinking ‘I never sit next to anyone that attractive,’ then after sitting in my aisle seat, I looked up to see Elizabeth and Jack, waiting to sit in the seats next to me.” Jack and John soon struck up a conversation, which continued between all three for the next 90 minutes. Before they landed, John had asked for Elizabeth’s phone number and made arrangements to see her perform the lead role in a regional musical and take her to dinner. Ten months later they were engaged and shortly after that…married. As a child, you could always find Elizabeth on stage. She was born in Nebraska, and her family moved to Minnesota as she began 4th grade. She spent her youth dancing and singing. “From a young age, I knew that I would spend my life giving my musical gifts to others, hoping to make a difference, and serving God,” says Elizabeth. She earned a bachelor’s and master’s degree in Vocal Performance from the University of Kansas and the University of Nebraska Omaha, respectively. During college, after winning Miss Austin 1984, Elizabeth entered and won the title of Miss Minnesota 1985. She then competed in the Miss America Scholarship Pageant. Following graduation, Elizabeth became a flight attendant with Delta Airlines. While flying she continued performing as a soloist at Opera Omaha, the Heartland Opera Theatre and with orchestras in Chicago, Nebraska, Minnesota, and Austria. Elizabeth has received many honors, including three Shelley Award nominations and winner of both NATS and Concerto Competitions. As a recording artist, she donates the majority of her profits to numerous charities. Elizabeth is the proprietor of “The Performance Studio” which is in its 20th year. She is passionate in her efforts to share her knowledge, sustainable vocal technique, and performance insight with her students. Elizabeth teaches Classical, Broadway, Pop, Oratorio, and Opera. “The Performance Studio” outreaches to the community with bi-annual recitals, which also serve as fundraising events for charities that are selected by the students. Elizabeth was recently awarded the 2018 “Best Vocal Instructor” Award from the Danville, CA Award Program. Currently she is a soloist and member in the distinguished Blackhawk Chorus. Elizabeth also continues as a featured soloist in concert and with orchestras throughout the U.S., France and Italy. John was born in Canada and raised in Northern Maine. He moved with his mother and four siblings to Colorado Springs at the age of 8, after his father’s untimely death in a jet fire while flying for the Air National Guard. John attended the Massachusetts Institute of Technology where he received his bachelor’s and master’s degrees in mechanical engineering. He moved to the Bay Area in 1990 to help his mother with health issues, and began his career at Abbott Laboratories in Mountain View working on new critical care technology. John loves applying his education to the medical field and has developed and commercialized new medical devices in over a dozen small start-ups in the last 25 years. He enjoys both inventing new products to help patients and building companies to bring those technologies to hospitals worldwide. John has been granted over 100 medical technology patents. He is currently the CEO of both ReValve Med developing 3rd generation aortic valve replacements and ResonanceDx developing a point of care diagnostic test to distinguish between viral and bacterial infections. John shares Elizabeth’s love of music. He performed as a drummer through out childhood. In the last 20 years he has focused on hand percussion, specifically frame drums. He has performed in frame drum ensembles throughout the Bay Area, in Michigan, and in several temples and pyramids in Egypt. 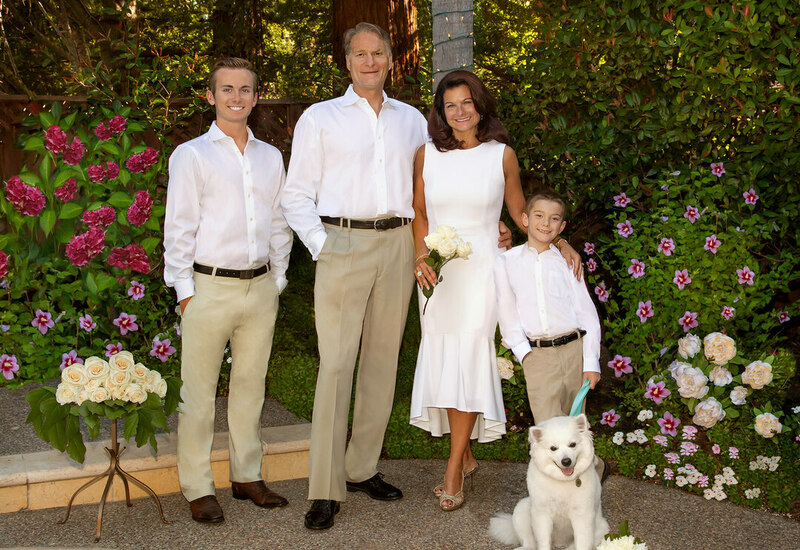 John, Elizabeth, Jack and Noah all enjoy spending time together traveling, golfing, skiing, swimming, entertaining, dancing, and doing charity work. They are members of Peace Lutheran Church in Danville where Elizabeth is the choir director and John, Jack and Noah often drum. Elizabeth is a co-founder of the Pure Delight Foundation as well as a 31 year active member and past chapter president of P.E.O. Elizabeth performs for numerous charitable fundraisers annually. She is also an adjudicator for CMEA and local vocal competitions. John gives back as a mentor with MIT’s Bay Area Venture Mentoring group to assist start-up companies, an advisor to the Surgical Innovations Group at UCSF to translate medical technologies into startup companies, and on the industry advisory board for the Department of Bioengineering at the University of the Pacific. He has also served on the House and the Food and Beverage committees at Blackhawk Country Club, as well as coaching for Mustang Soccer. 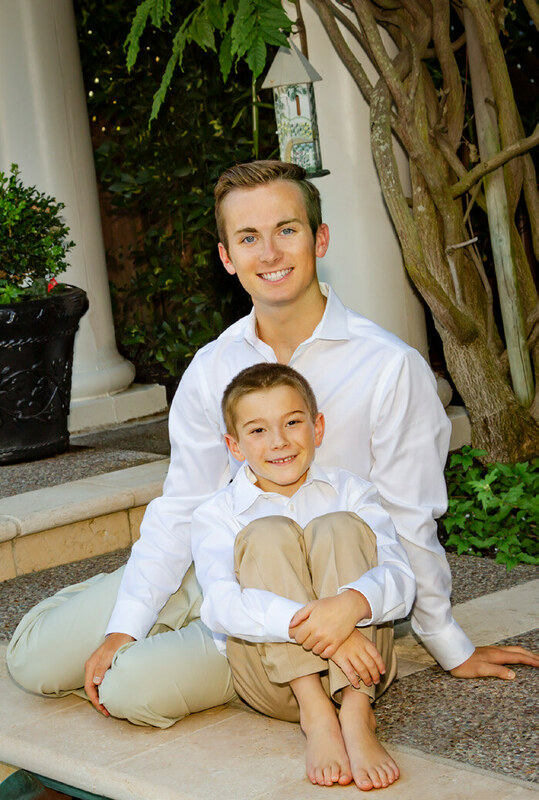 Elizabeth’s son and John’s step son, Jack, is currently a sophomore at the University of North Dakota where he is pursuing an Aerospace Aviation degree. Jack graduated from Monte Vista High School in 2017 where he was a member of the concert choir that toured Europe, is an accomplished USA year-round swimmer, and an Eagle Scout. 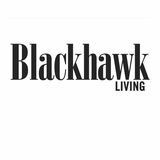 Jack’s was recruited from the Sycamore Stingrays to the HOX which precipitated first the Hunter Ashley’s joining Blackhawk Country Club in 2012 and then moving to the community in 2014. Jack’s Eagle Scout project was collecting and shipping soccer equipment to South Africa, and he has continued this biennial charitable work for the last 6 years. John and Elizabeth’s son, Noah, is in second grade at Tassajara Hills Elementary School. He enjoys singing with the San Francisco Boys Chorus, playing Mustang Soccer, Little League baseball, Cub Scouts and swimming. The thread of family philanthropy has recently touched Noah who earlier this year raised enough money on his own to buy two children wheelchairs through the Wheel Chair Foundation. The Hunter Ashley family is rounded out by their American Eskimo dog, 6-yearold Frostina, a calico cat, 5-year-old Autumn Hope, and 2 PBR bucking bulls, “Blonde Blizzard” and “Noa-Jack.” John, Elizabeth, Jack and Noah all enjoy playing golf, swimming, bocce and the many other activities that Blackhawk provides.